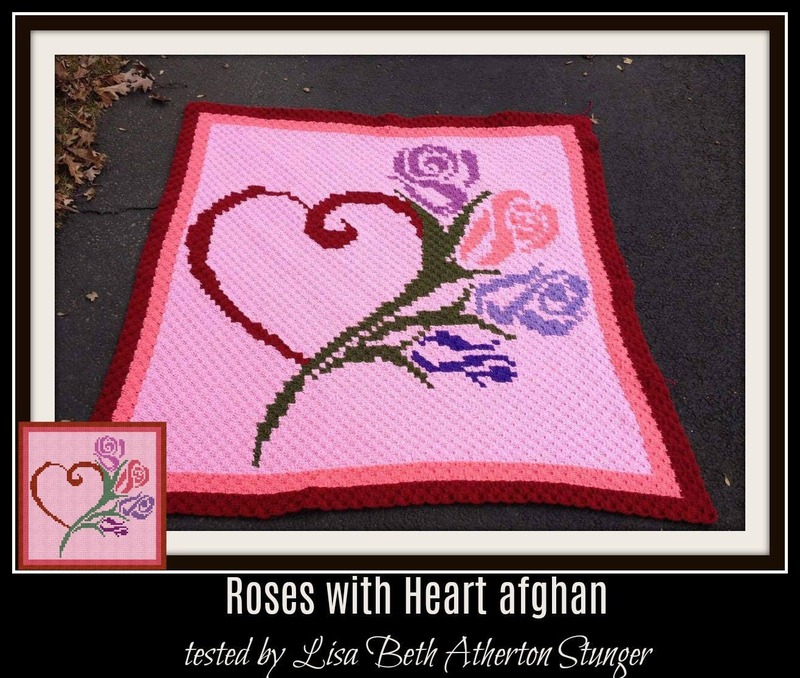 Thank you for considering the Roses with Heart Corner to Corner (C2C) crochet graph and instructions. One of the nice things about this graph is that there is a border already built into the graph so if you're like me and don't usually mess with borders, this one still has the "finished look" of a border. The Roses and Heart pattern also has a page that gives additional measurements and yarn requirements for Sport or Baby #2 yarn using either hook F, G or H - Light Worsted Weight Yarn #3 using either hook F, G or H - Medium Worsted Weight Yarn #4 using either hook G, H or I so you can find the right size for you.